Claddagh earrings are a drop design that is crafted in sterling silver with green crystal hearts. These sterling silver Claddagh earrings feature green crystal hearts and measures 3/8" diameter x 1" tall, to the top of the wire. 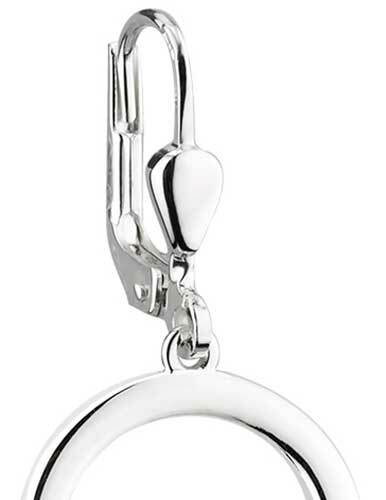 The Claddagh earrings are a dangle design on latching Eurowires. 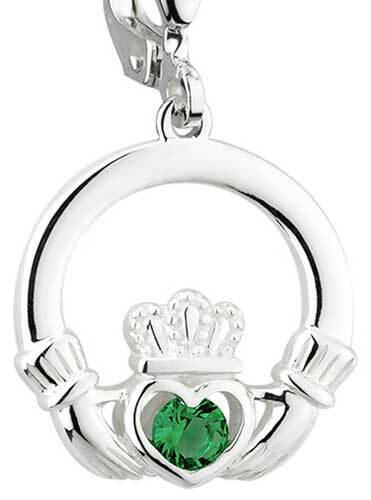 Claddagh necklace is crafted in sterling silver and it features a green crystal heart. 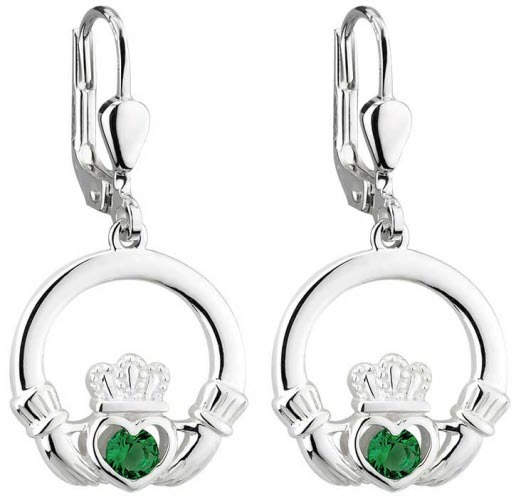 Claddagh earrings are crafted in sterling silver and they feature green crystal hearts.